Transducers are devices that convert one form of energy into another, such as the transfer of mechanical input to electrical output. Transducers are very common and can be found extensively in products including microphones, keyboards, electrical guitar, etc. Piezoelectric transducers are used to convert mechanical energy, normally acoustic, into electrical energy (this is the opposite of actuators – see Actuators for more). One iconic use of transducers was during World War I, where Canadian scientist Robert Boyle used quartz to make a sonar device for the British forces to detect submarines and ships. Piezoelectric materials are extremely volatile in the sense that they have no restrictions on the shape in which they are manufactured. This gives piezoelectric transducers a significantly broader range of potential applications compared to other types of transducers. Piezoelectric transducers can effectively operate at very low voltages and relatively high temperatures (up to their Curie point), further increasing their range of applications. Despite their volatility, piezoelectric transducers do have shortcomings, one of which is high impedance. Since their resistance to current is high, piezoelectric transducers often generate very low voltages or outputs. This causes these devices to become reliant on amplifiers, which in some instances can induce electrical error. One of piezoelectric materials’ most useful properties is their responsiveness to change. 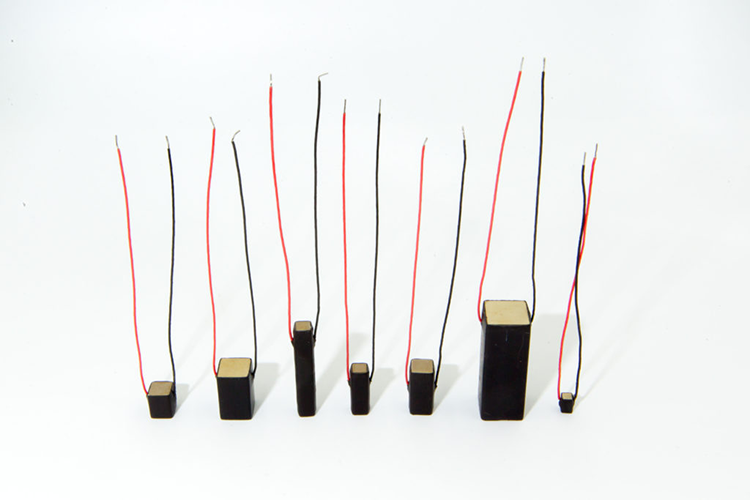 This enables piezoelectric transducers to be used in studies of explosions, in various accelerometer applications, and in other applications where fast shape changing in required. Piezoelectric transducers also have an innate ability to vibrate at a very fast rate which is particularly useful in supersonic applications, various cleaning products as well as medical and surgical tools. In certain cases where cabled power sources or battery power is either extremely expensive or unviable, piezoelectric transducer provide the perfect solution. They can generate energy from ambient sources, a solution commonly used in energy-light systems. Piezoelectric transducers are also used in conjunction with sensors and very low power machines (such as wristwatches) as they can effectively operate on just milliwatts of energy. The ambient energy capabilities of piezoelectric transducers are best utilized when power needs are periodic and close to the harvester’s resonance frequency. If the ambient energy is constant, the problem of electron loss occurs, which causes the harvester to slowly lose energy output over time. An example of an energy harvesting application is found in applications that generate energy by walking. By embedding piezoelectric transducers into the sole of the shoe, pressure applied from walking is converted into electrical charge that can be used to charge small appliances like old cell phones or smartwatches.